She was 9 when she started dreaming about the Iditarod. Nineteen years later, she’s a race rookie. Joe Redington Sr. had a dream of men and women racing teams of huskies across Alaska in an event like no other. The race he helped start, the iconic Iditarod Trail Sled Dog Race, is now the dream of many people from all walks of life and from all over the world. 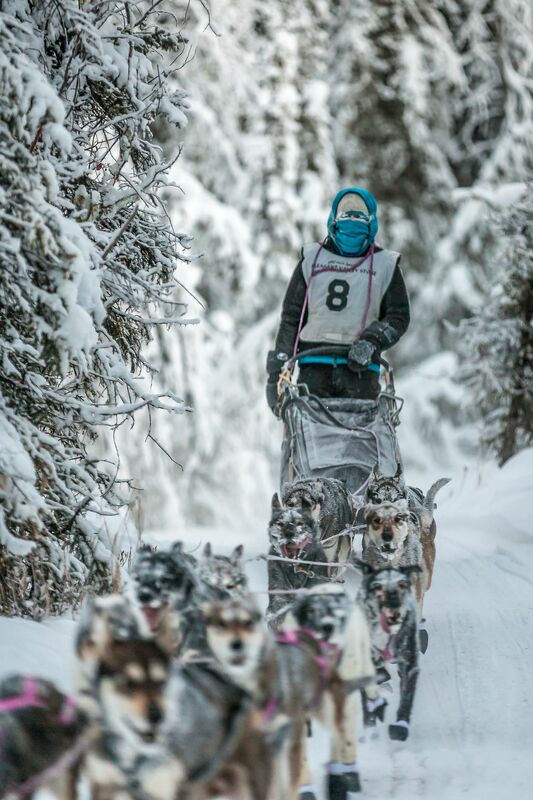 Among those entered in 46th edition of the race to Nome is Shaynee Traska, a 28-year-old rookie from Two Rivers whose dream began nearly 20 years ago when she was a girl living in Gladwin, Michigan. "I first heard of the Iditarod when I was 9 years old after my aunt and uncle visited Alaska and met Joe Redington," Traska said. "They came home telling stories of sled dogs and teams that raced across the wild vastness of Alaska, and I fell in love with the idea. I had never seen sled dogs before, but told my parents that I wanted to race the Iditarod someday." Children's notions about what they will do as adults are often as fleeting as they are grand, and Traska's mother, Toni Seipke, said she remembers thinking, "We'll see." But in Traska's case the idea kept pawing at her. "She read all the books and everything she could find out it on the Internet," Seipke said. Traska also continued to hound her parents about acquiring huskies. "Originally they told me that when I was older and had my own home, I could have as many dogs as I wanted," Traska said. "I prayed and dreamed for years to start a sled dog team." Traska learned all she could about the sport, and when she was 11 she took a step closer to her dream. Her parents took her to watch the UP200, a 230-mile Iditarod qualifying race in Michigan that goes from Marquette to Grand Marais and back again. Watching the 12-dog teams burst from the starting chute made Traska more determined to stand on sled runners behind her own team of huskies. "I was hooked even more," she said. After that she met Ken and Lori Chezik, champion sprint racers from Fife Lake, Michigan. 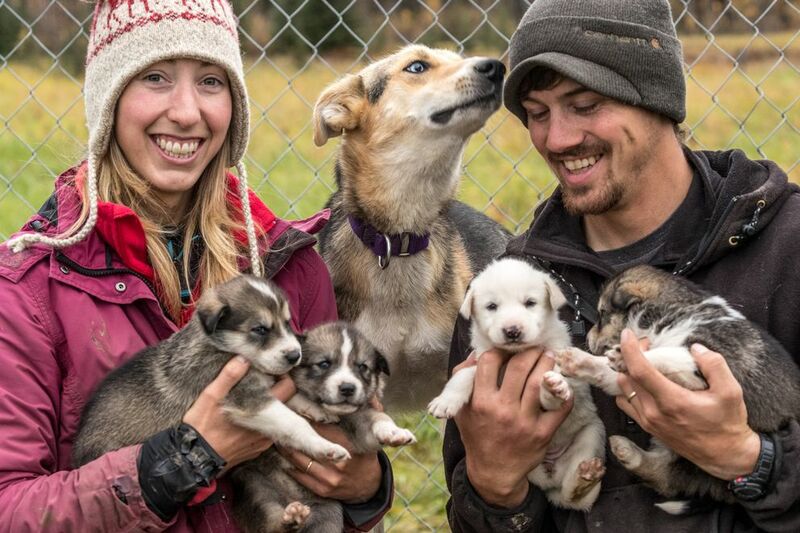 They provided her with firsthand information about life as a musher and offered her a few dogs to start her off right. "What I remember most about Shaynee was her absolute conviction to train, race, care for and love sled dogs," Lori Chezik by email. "She has a quiet determination. Many people underestimate her quietness with being timid, but they are completely wrong. She sets a goal and goes after it." When she was 14, Traska's parents finally agreed it was time to let her give the sport a whirl and get her first dogs. The Howling Ridge Kennel was born. "I was told from the beginning that I would be totally responsible for their care and training. I couldn't have been happier," Traska said. Over the next few years, while balancing schoolwork and mushing and overcoming logistical challenges, Traska began running dogs. "Gladwin was not a very good place to train dogs due to lack of space and trails (so) all of my training had to be done by trucking the dogs to country roads or further north to state land," she said. Traska's parents were part of the process. Her mom would drive down those country roads in front of Traska and her dogs with her flashers on, and her dad drove behind her in the dog truck. "We did that for years," Seipke said. "Then she got her driver's license and started going about 12 miles north to run on state land by herself." Traska said it was a struggle to log the miles needed to ready the team for a race, but once she decided to enter her first race, the Midnight Run on Michigan's Upper Peninsula, she didn't let anything stand in her way – even an age requirement that she didn't meet. She was 17 and race rules required racers to be 18, but she obtained permission to run anyway. Despite tricky terrain and inclement weather, Traska and her team finished the race. Then she refocused on the big dream. At 19, she began breeding her own dogs to build up her kennel while simultaneously looking for a way to get to Alaska. At 23, she found a way by accepting a job with Gold Rush Sled Dog Tours in Juneau. Glacier gigs are where many young mushers first cut their teeth in Alaska. The summer job mostly entails giving rides to cruise ship passengers and other tourists, but it allows those aspiring to run the Iditarod the opportunity to make money doing what they love during racing's offseason. "I spent the summer saving my money and desperately trying to figure out a way that my 25 dogs and I could stay in Alaska come winter," Traska said. "… I had no permanent place to live. I stayed a week in Willow, then spent a month in Kasilof, training and caring for my dogs while they lived on the truck. I finally learned of a cabin and dog yard for rent in Two Rivers, so in early November, I loaded up the dogs and all of my belongings and drove north to Fairbanks. I lived in a dry cabin that first winter while learning the local trails by dog team." Since then, Traska has continued to work in the tourism business in Juneau every summer. She married Jeremy Traska, a musher from Idaho she met on the glacier, and she completed the Copper Basin 300 and the Yukon Quest 300 to qualify for the Iditarod. Now she's ready to make her long-awaited Iditarod debut. Lori Chezik thinks Traska will fare well on her 1,000-mile odyssey to Nome. "Will she finish the race? If it's based solely on her toughness and ability, she will," she said. "But, she cares deeply for her dogs. She knows and understands there are inherent risks. If there comes a time that she has to choose between the race or the dogs, she will choose her dogs." Traska admitted she has the usual rookie jitters now that the race is so close, but she said she is eager to experience firsthand what she has spent much of her life thinking about, planning for and working toward. "The Iditarod will be the biggest adventure of my life and I am most excited about seeing these images I've had since a little girl come to life," she said. "I remember having this vision of traveling with my best friends – the athletes – across the Alaskan wilderness and enjoying all of the beauty that so few will ever see, and meeting the people in the villages and enjoying their company. "… When you have a dream, it's very hard to be patient and wait for the timing of it to come true. It's been 20 years since I first told my parents I wanted to race Iditarod, and at times it seemed like it would never happen. I've wanted this for so long, so I want to soak it all in – all of the hard work, tears, joy, that has come with pursuing this dream since the kennel began when I was 14. This is our big moment." Joseph Robertia is a freelance writer living in Kasilof with his wife, Colleen, and their daughter, Lynx. Joseph's first book, "Life with Forty Dogs," published by Alaska Northwest Publishing, was released in April.